The revelations of this video keep getting better and better. Watch closely and you will see and hear the mysterious object fall from a Clinton pant leg. In this version of the video, watch Clinton’s right pant leg. Is this part of a leg brace or Clinton’s catheter? 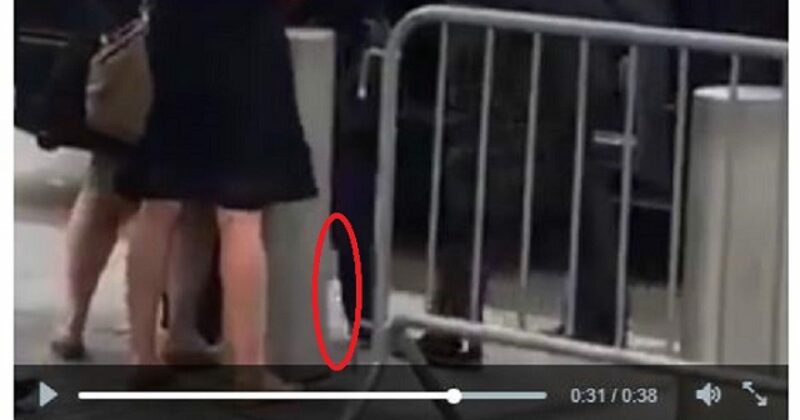 You can easily see the white object fall from the right Clinton pant leg, when the video is slowed down. The object appears to be metal in nature, and the “clang” of metal is obvious. Judge for yourself if you think this is part of Clinton’s catheter.